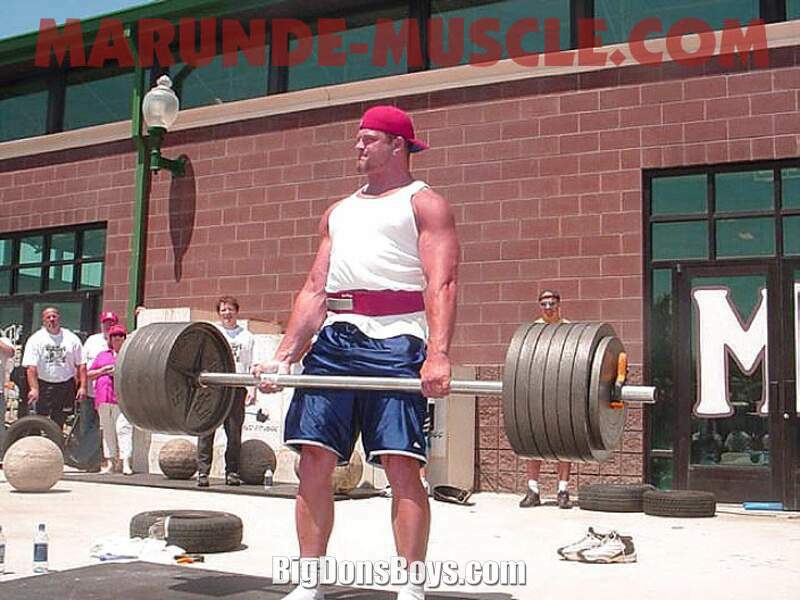 This page features rare photos of 6'4" Jesse Marunde. 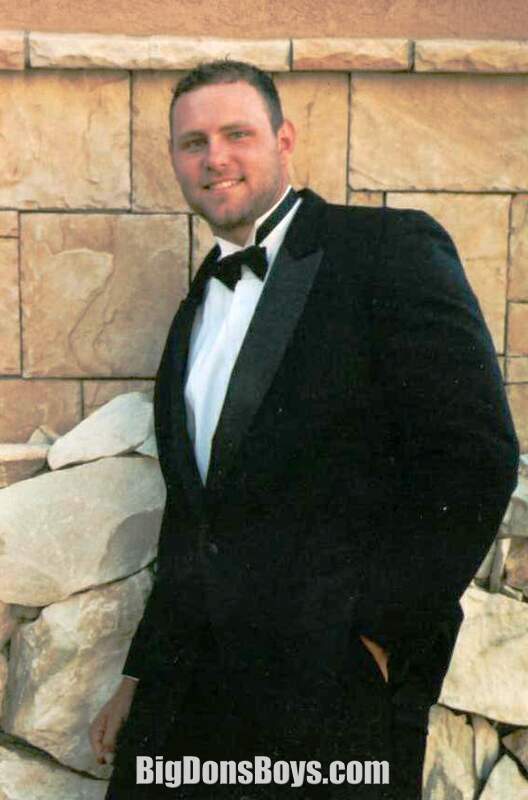 He died several years ago so pics of him are now few. 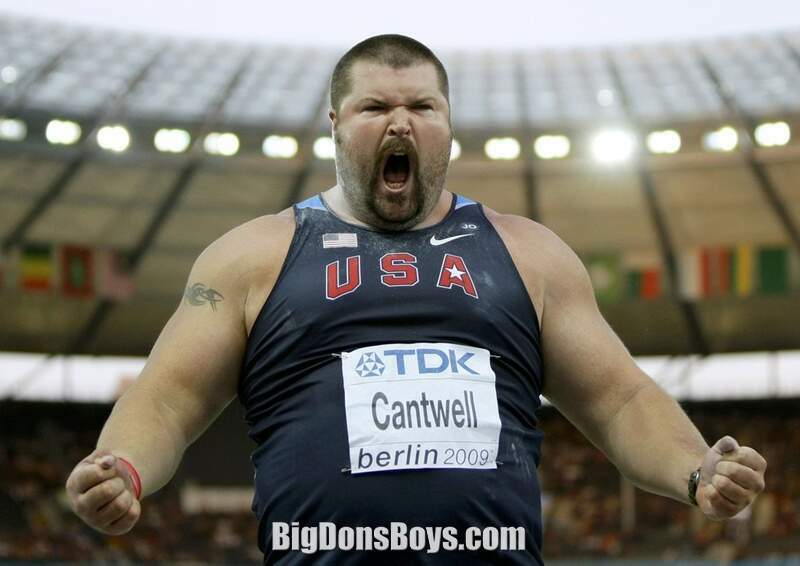 Be sure to check out his gallery. 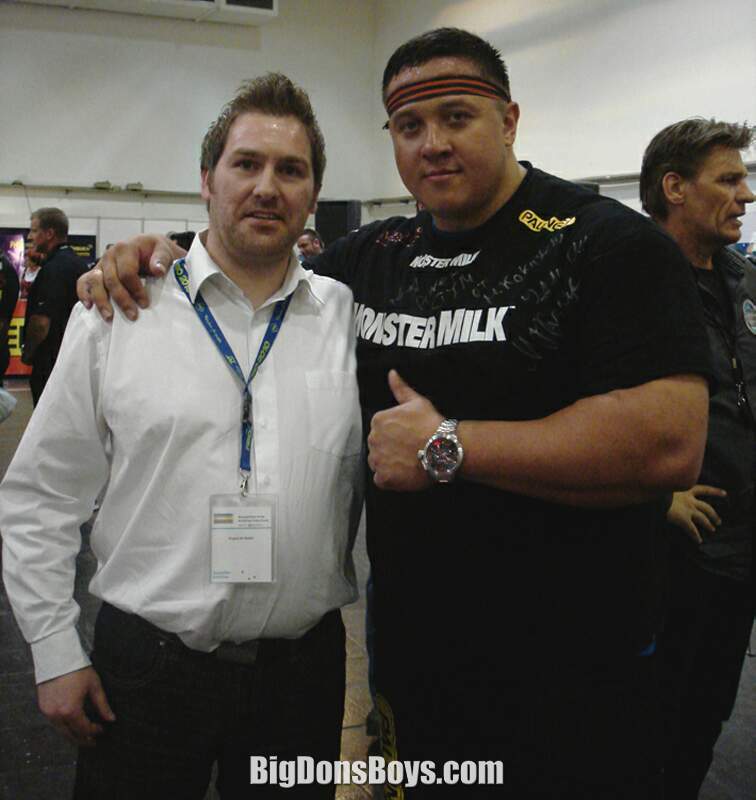 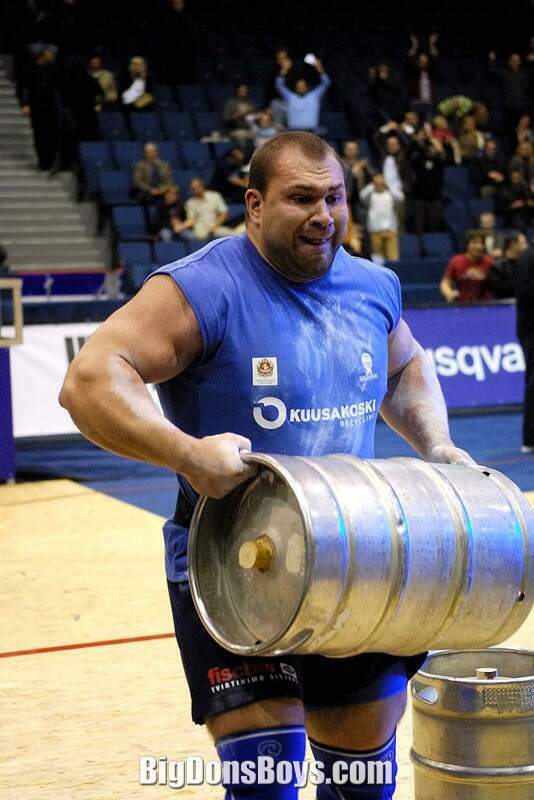 Mikhail Koklyaev is a six-time Russian National Weightlifting champion, strongman competitor and powerlifter. 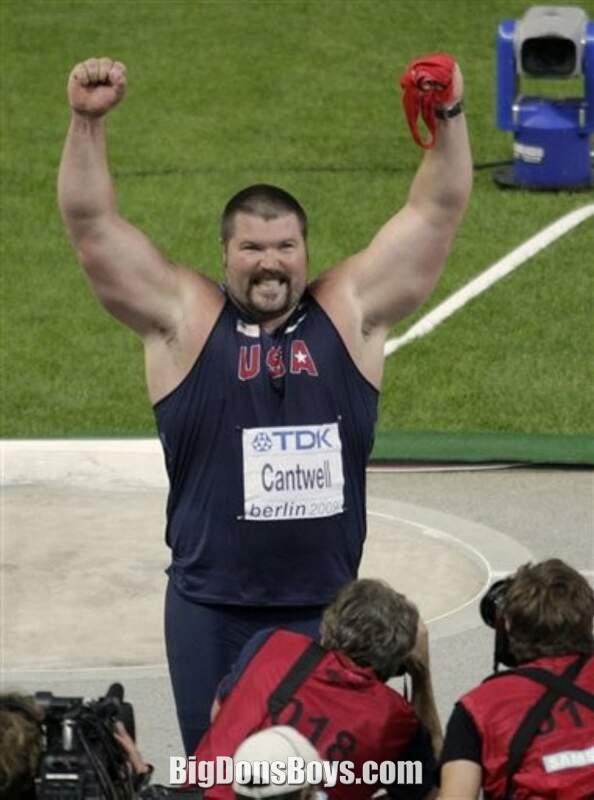 He was born in 1978 in Chelyabinsk, Russia. 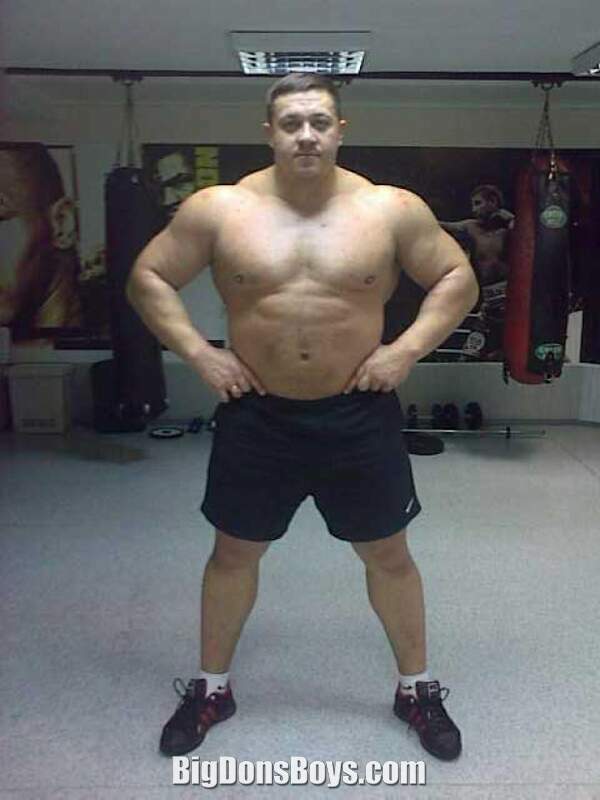 Mikhail often goes by the nickname "Misha", and is married and has a son. 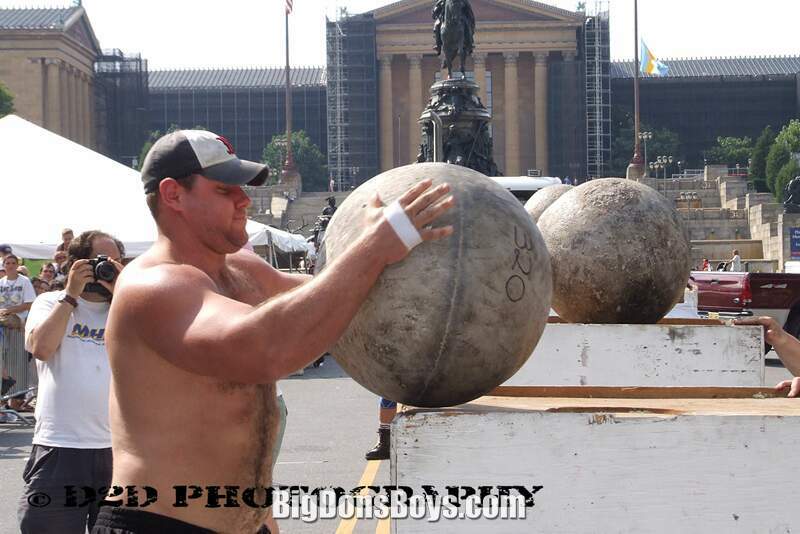 Koklyaev has placed third place at the Arnold Strongman Classic in 2006 & 2008, as well as 2nd in 2009. 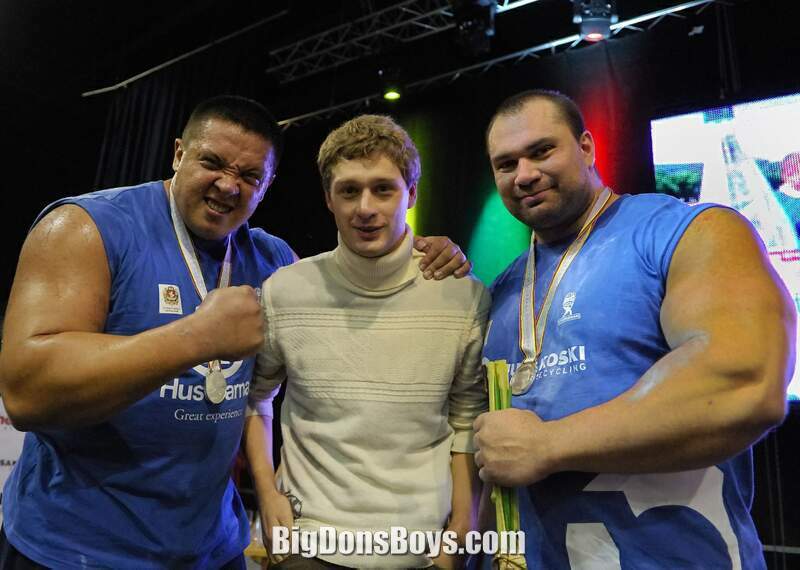 Mikhail finished on the podium at all 3 IFSA World Championships, finishing 3rd in 2005, 2nd in 2006 and 2nd in 2007. 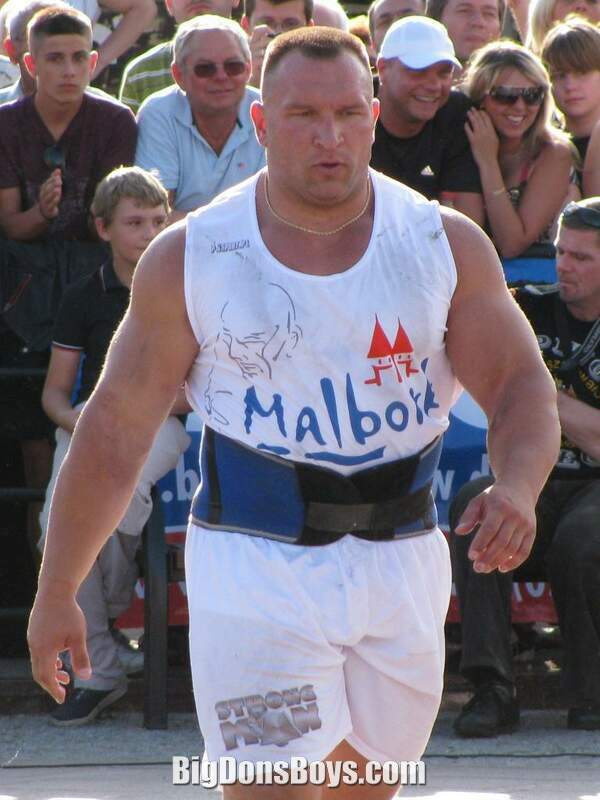 Koklyaev came in second place (with Igor Pedan) at the IFSA Strongman World 2-Man Championship, in Vilnius, Lithuania in 2007. 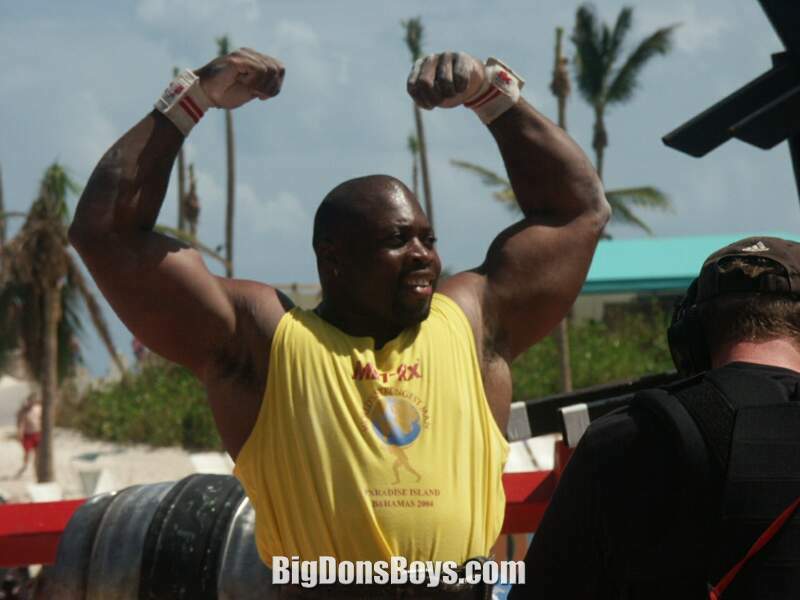 Koklyaev finished 3rd at the 200 World's Strongest Man contest, but failed to make the finals for the 2012 World's Strongest Man. 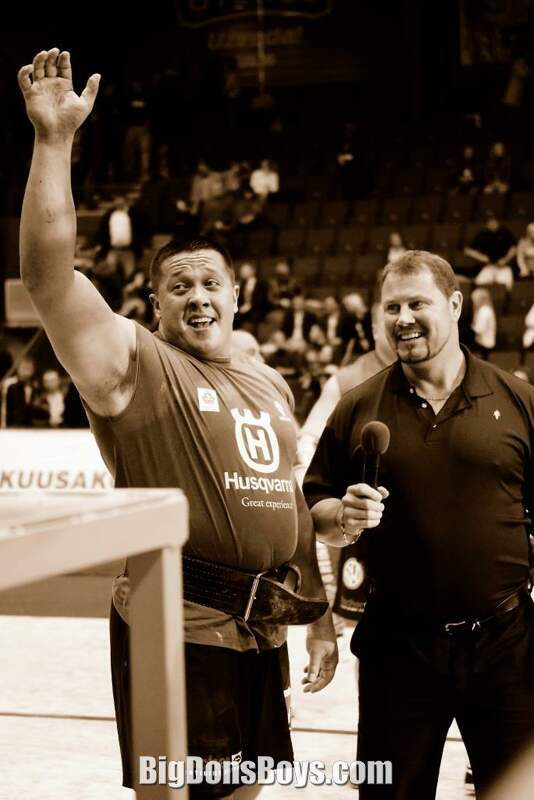 Koklyaev is a 7 time Strongman Champions League grand prix winner, and finished 3rd overall for both the 2010 & 2012 SCL seasons. 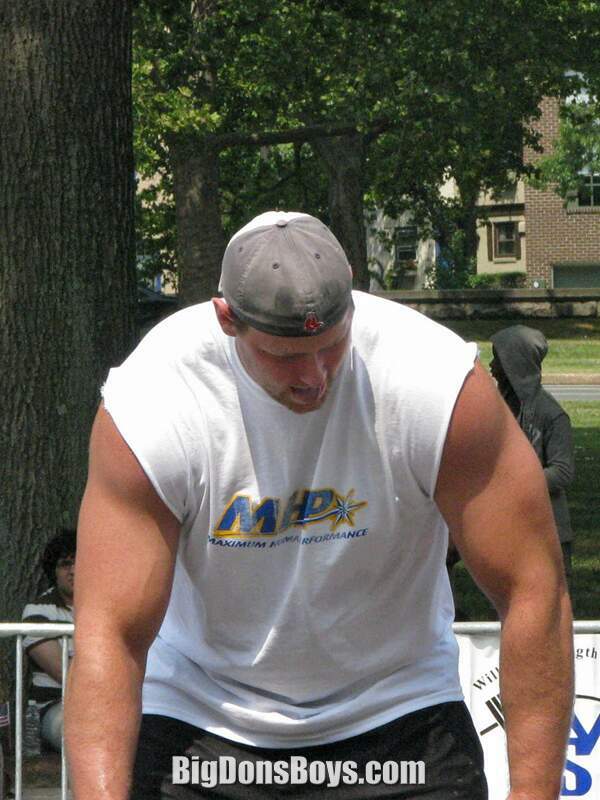 6'5" (1.98m) 340 lb. 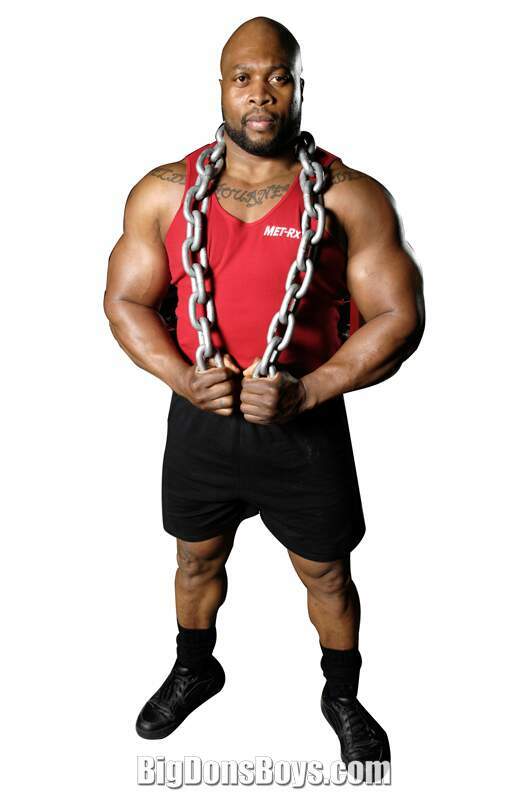 (154 kg) Josh Thigpen is a US powerlifter. 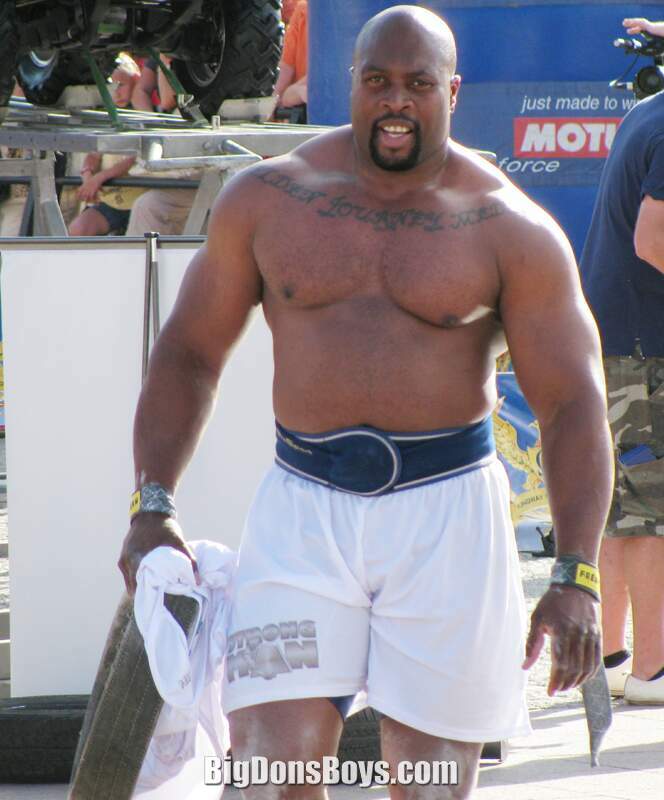 Thigpen performed exceptionally well at the Giants Live Ukraine show in August 20, and ultimately gained his World's Strongest Man contest spot based on his third place finish. 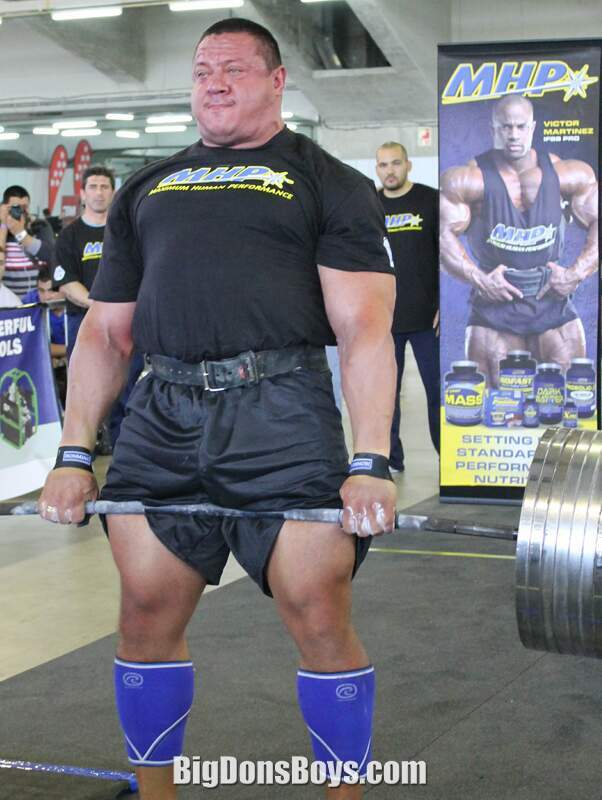 He returned to the show in 2010 after a five year absence from the contest. 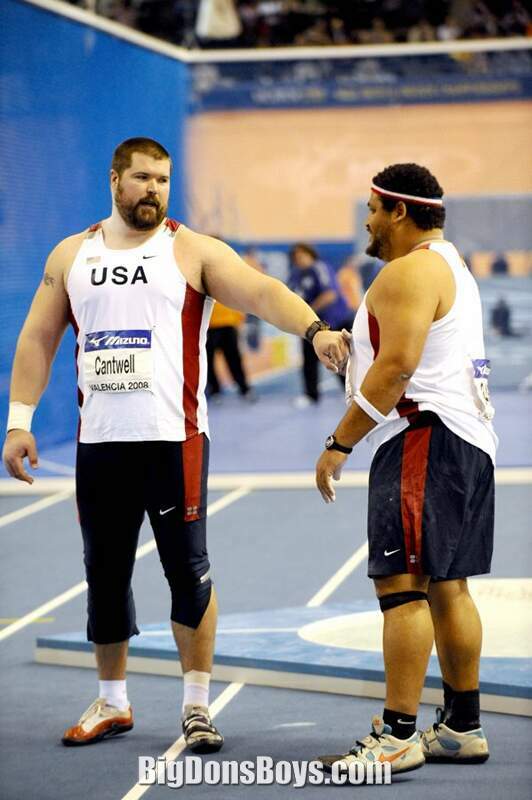 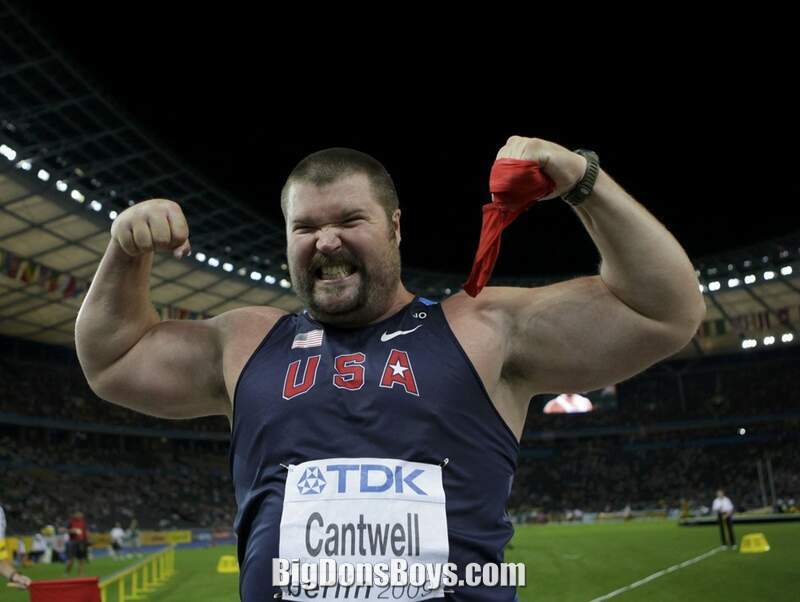 Christian Cantwell (born 1980) is a World Champion American shot putter. 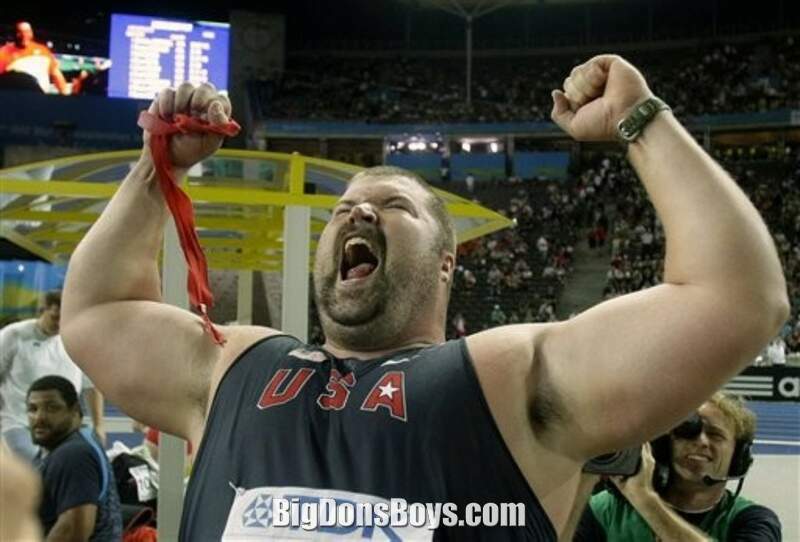 In his most recent appearance, he placed 4th in the London 2012 Summer Olympic Games. 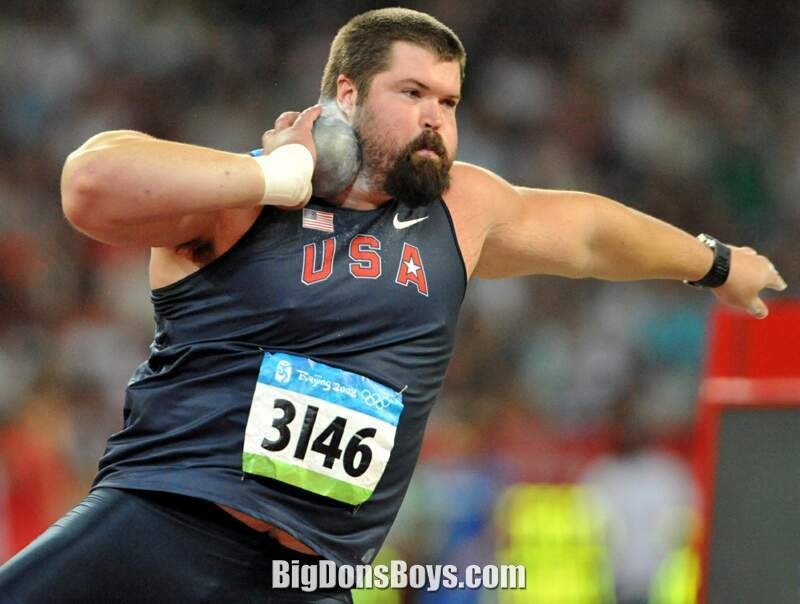 Shot putting could be put under my "Other Sports" section but I put it here as it is a strength event. 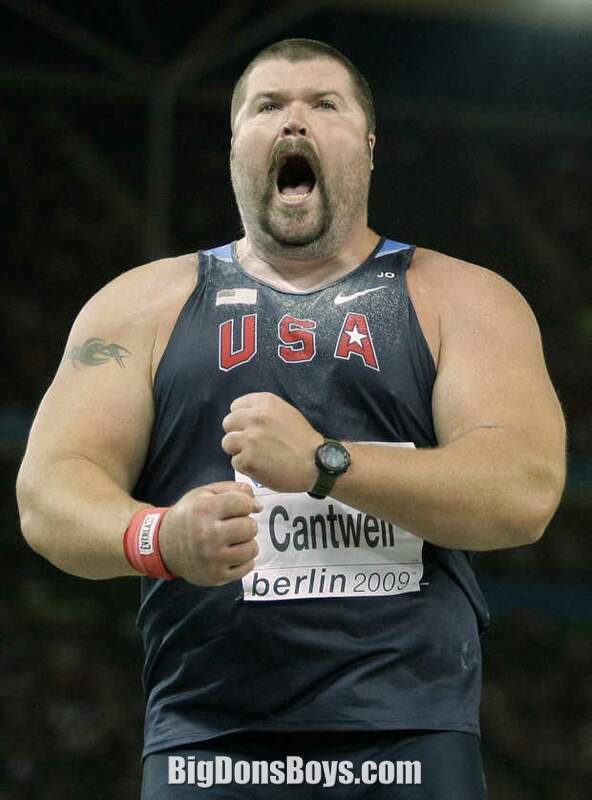 Cantwell's personal best throw is 22.54 meters, or 73 ft. ½ in, set in Gresham, Oregon on June 5, 2004. 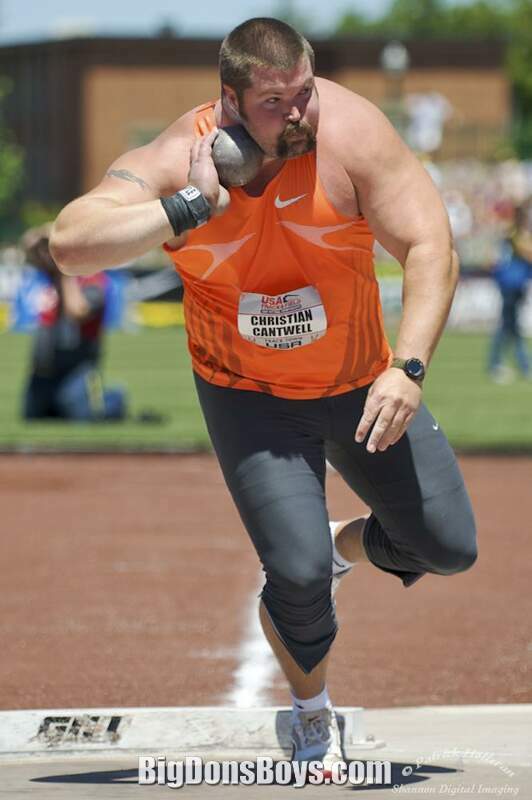 His best outdoor season to date was 2006, in which he had 8 of the 10 longest throws in the year. 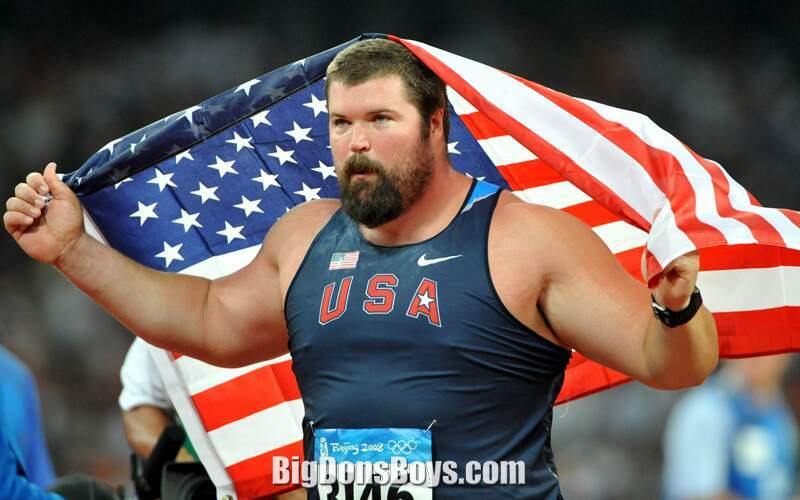 He was born in Jefferson City, Missouri and attended Eldon High School in Eldon. 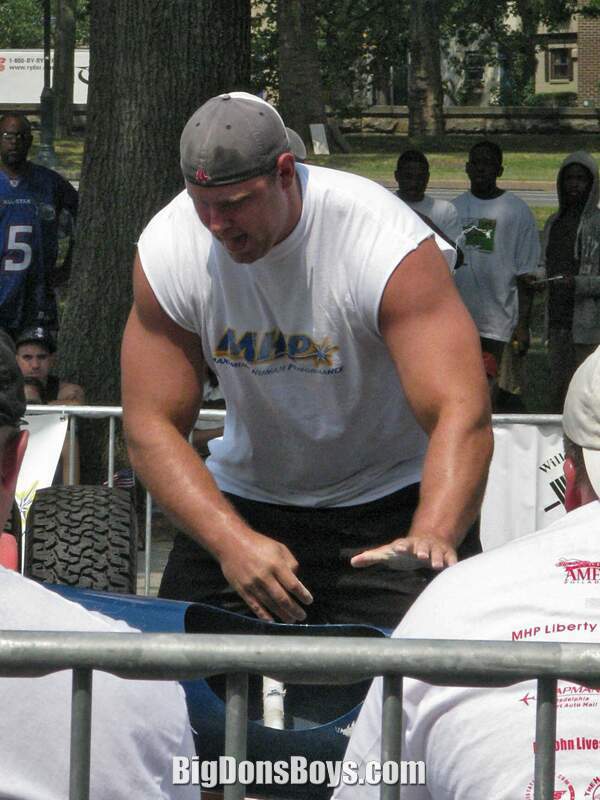 In 2003, he attended the University of Missouri. 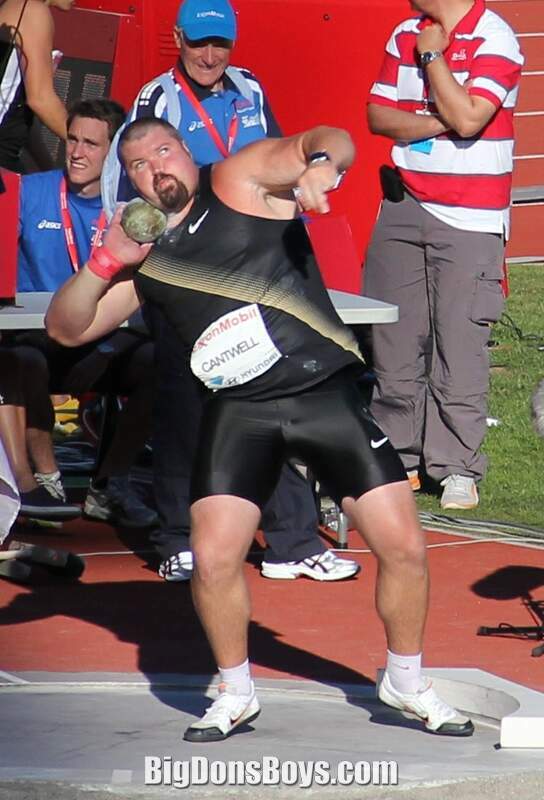 He won a silver medal in 2008 Summer Olympics at Beijing, China on August 5, 2008 with his final throw of 2.09 meters, the gold winner was, Tomasz Majewski of Poland. 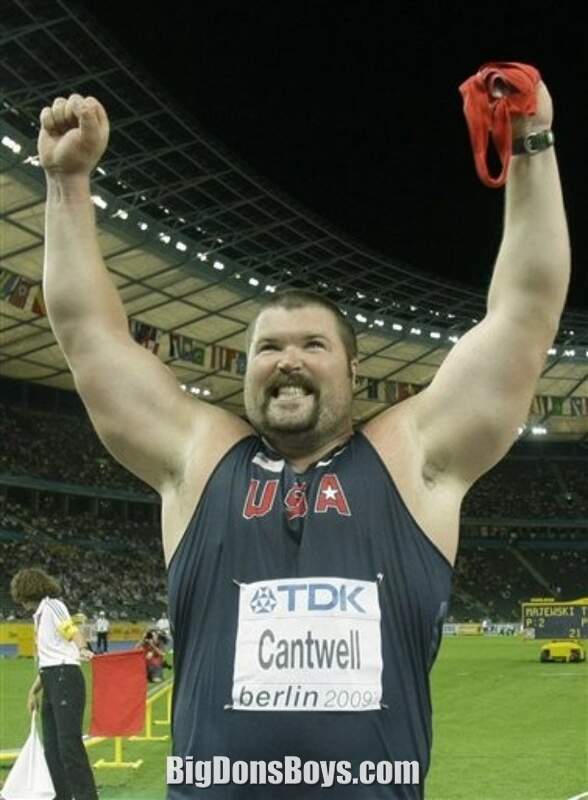 At the Berlin World Championships in 2009, their positions were reversed as Cantwell took gold with a throw of 22.03 meters. 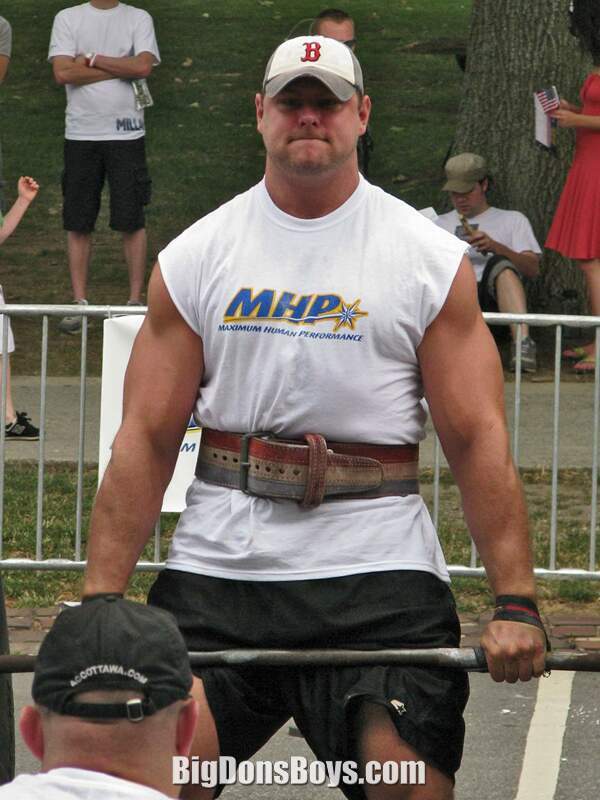 6'4" (1.93m) 295 lb. 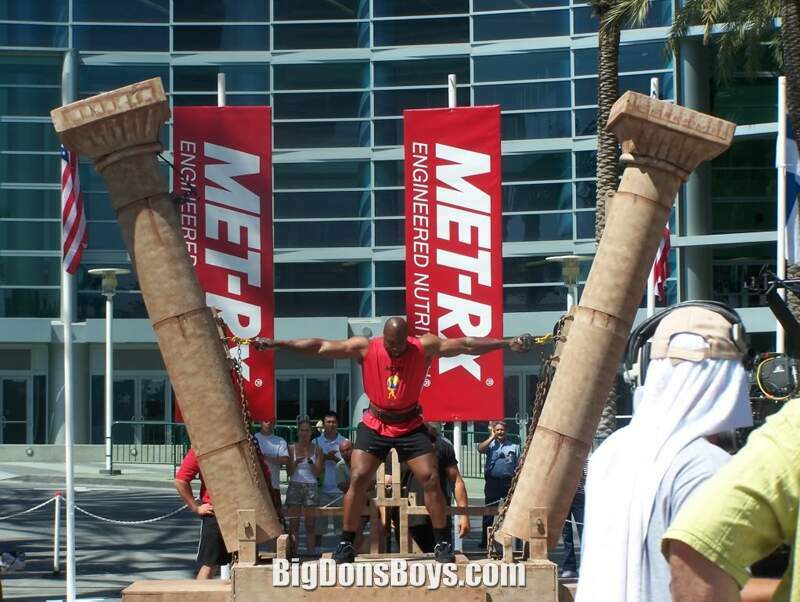 (134 kg) Mark Felix shatters last year's world record deadlift at the 203 Arnold Strongman. 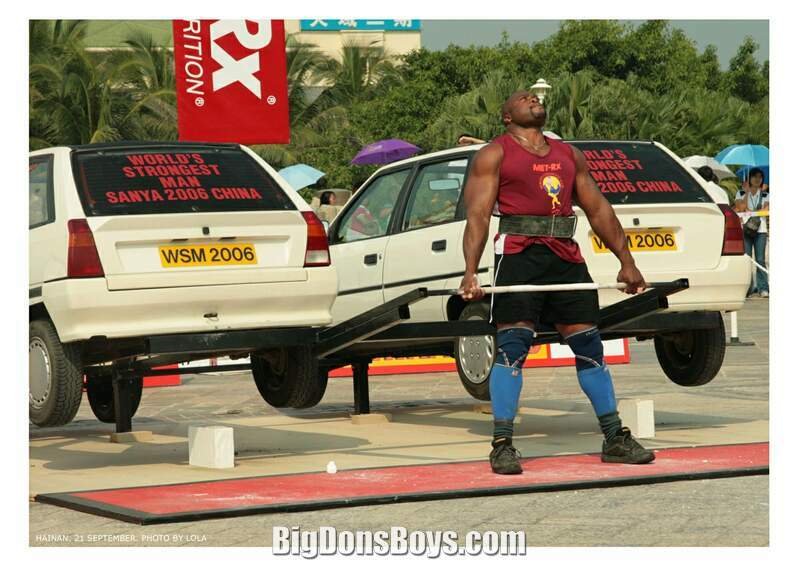 This incredible deadlift is 28 pounds the heaviest deadlift in human history. 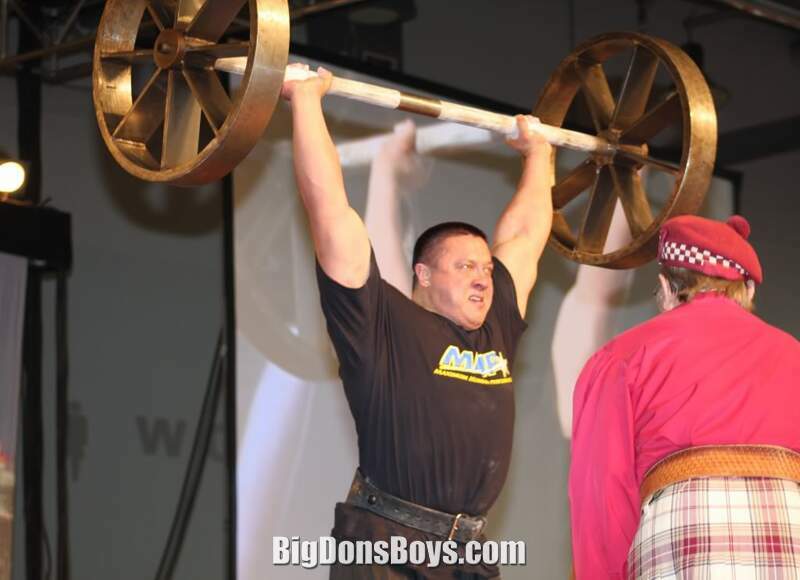 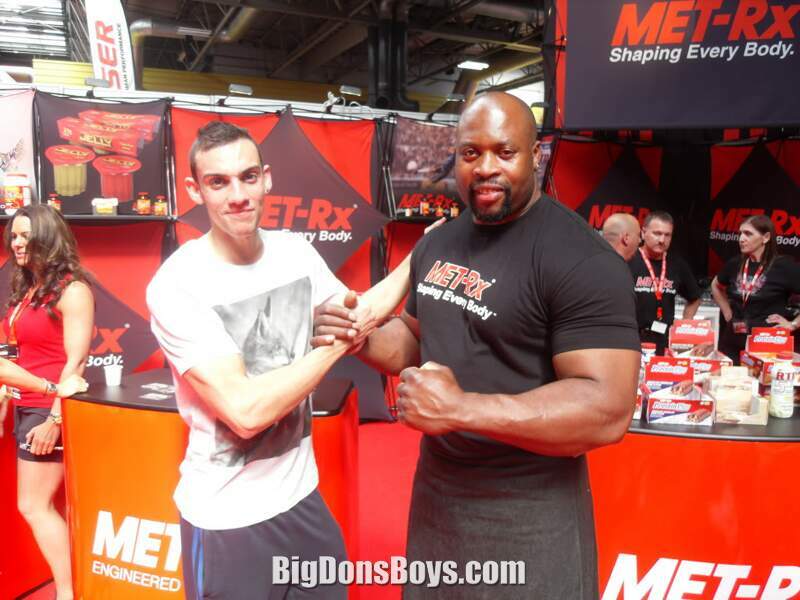 Mark previously ripped off his shirt in celebration at shattering the deadlift record. 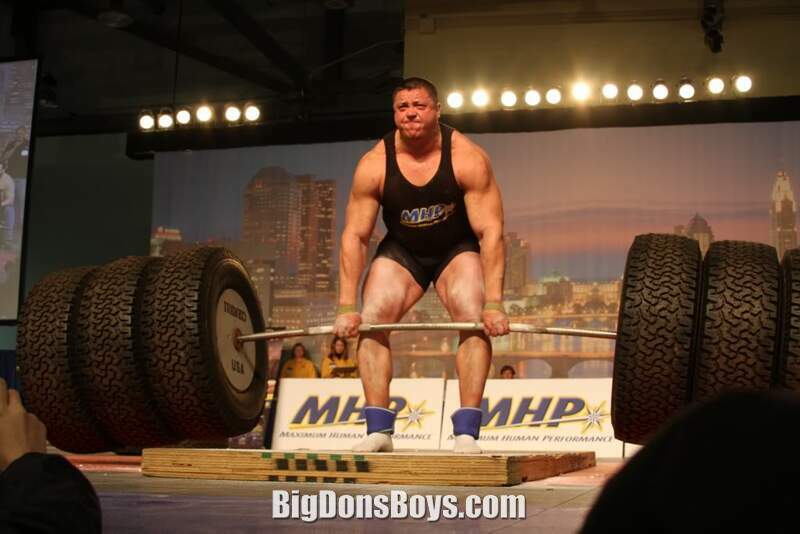 He knew he had more in him and he destroyed the record he set just minutes earlier.